In the last 40 years, inside Iran's opposition, there has been a lot of discussion about the use of US sanctions on Iran, to help Iran's opposition to counter IRI violations of human rights (1). In this article, the discussion is about the real effect of sanctions on Iran, regardless of whether we support it or not. In Saddam's Iraq, sanctions extremely weakened Iraq's economy to the point of total collapse and finally Saddam's regime was easily removed by the US attack on Iraq. 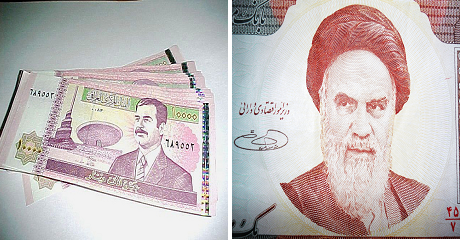 In Iran, the sanctions have not had the same effect in the last 40 years. Basically although Iranians hate the lack of democracy under IRI rule, but at the same time, try to find ways to excel economically. This fact has stopped the sanctions to impact Iran's economy to reach total collapse which we witnessed in Iraq of Saddam Hussein era. The paradox is somewhat similar to China, although Chinese government at least provides social freedom whereas Islamic Republic of Iran (IRI) neither gives the people political freedom nor social freedom, but economic freedom is a whole different matter.